Glaucoma is a leading cause of blindness around the world. However, if this eye disease is detected and treated early, vision loss is not inevitable! 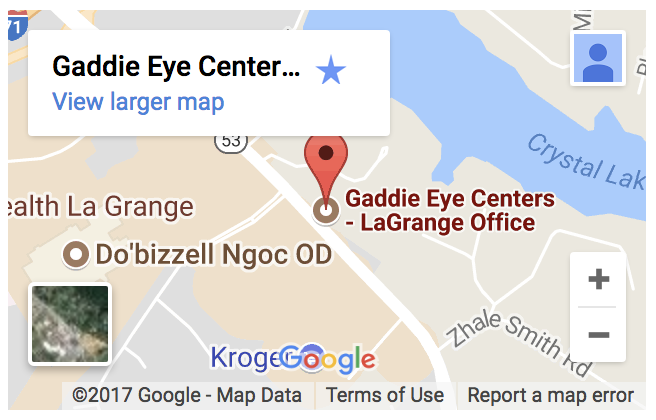 Our eye doctors in Oxmoor, Springhurst, LaGrange, and Carrollton, KY, perform glaucoma testing during comprehensive eye exams. This is the most reliable way to spot the early signs of eye disease. This eye disease is characterized by increased pressure levels in your intraocular fluid. Eventually, this higher-than-normal fluid can damage your optic nerve. Without treatment, permanent vision loss results. Generally, the early stages of glaucoma do not present any symptoms, so you will not know that you have the disease. Yet, our advanced glaucoma testing with multiple technologies will identify the signs. 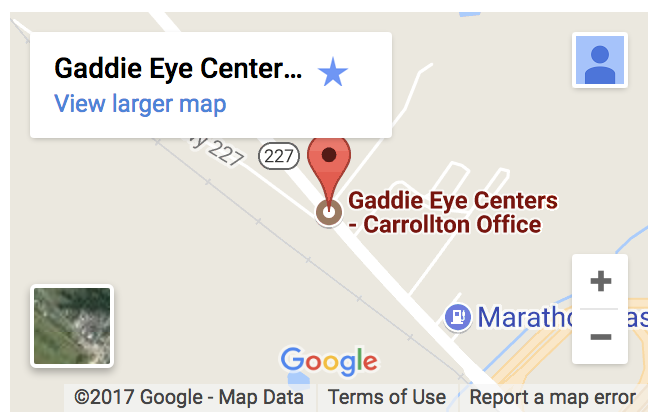 Call to schedule your eye exam with glaucoma screening at Gaddie Eye Center. What is the difference between types of glaucoma? There are two types of glaucoma. The most common is “open angle” glaucoma, in which there is no pain or uncomfortable symptoms. At the beginning, vision also remains normal. The second type of glaucoma, “angle-closure” glaucoma, can cause sudden symptoms, including blurry vision, eye pain, headaches, nausea, and seeing halos around lights. This type of glaucoma is a medical emergency that requires urgent attention, since the intraocular pressure can rise dramatically and damage vision quickly. What are glaucoma testing procedures? Tonometry measures intraocular pressure. 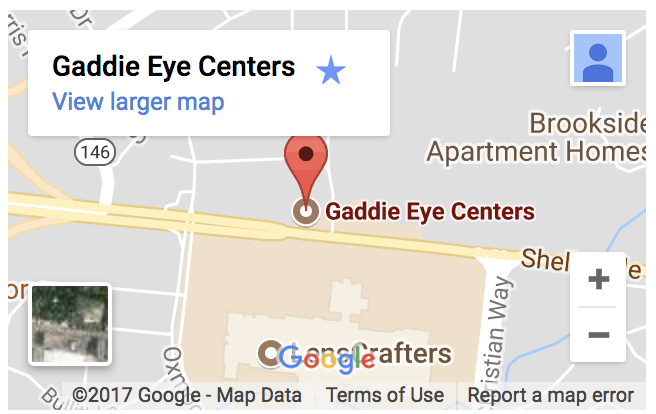 Our eye doctor will either perform a “puff test”, which blows a mild puff of air across your eye, or place a specialized probe (with a blue light) gently on the surface of your eye. If the results from either of these tests are high, you have a problem with the amount of fluid in your eye. However, glaucoma cannot be diagnosed entirely by tonometry; more diagnostic information is needed. OCT scans are a type of digital imagery that records pictures of your inner eye structure. This imaging is done repeatedly over a series of visits, so we can analyze and compare the results. Changes in the images provide significant information about progressive glaucoma damage and help us design the best treatment for your condition. Glaucoma typically attacks side (peripheral) vision first. This is one reason why many people don’t notice the onset of this eye disease. Once vision loss occurs in the center field, it means that the glaucoma has been present for a long while. Only routine eye exams can identify the early onset of glaucoma, and visual field testing is a helpful measure for diagnosis. With visual field testing, a light signal will be displayed repeatedly in various areas of your peripheral vision. You will need to place your head in front of a machine, look ahead and provide feedback when you see the light signal. If you have already been diagnosed with glaucoma, your eye doctor will probably administer this test every few months. If there is any deterioration or vision damage in a new area, a change in your glaucoma treatment may be necessary. How do we treat glaucoma? Successful glaucoma treatment involves a solid partnership between you and your eye doctor. You must be committed to following your doctor’s instructions and using any medication that is prescribed, such as eye drops or pills. Also, if you are taking medications for glaucoma, you will need to visit your eye doctor regularly, about every three to six months, depending upon your condition. Although the damage already caused by glaucoma cannot be reversed, medicine and surgery can help to slow the progression and prevent any further damage. 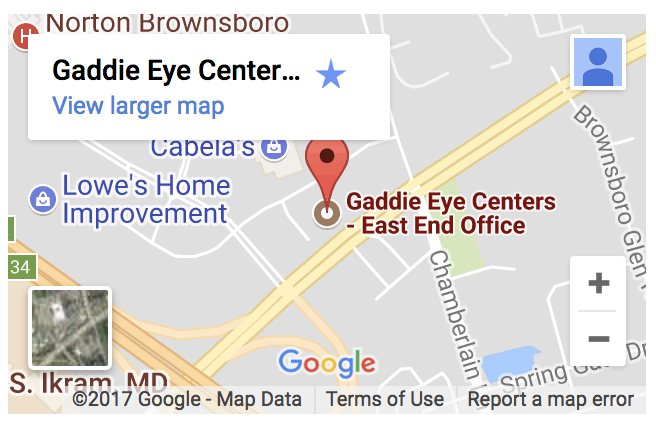 Our eye doctors in Oxmoor, Springhurst, Oldham, and LaGrange, KY, may use one or more of the following treatments. Eye drops are generally the first treatment prescribed for glaucoma. Applied regularly on a daily basis, these eye drops lower eye pressure. There are different types of eye drops for glaucoma, some of which work by decreasing the amount of fluid made by your eye, and others work to decrease intraocular pressure by facilitating a smoother flow of intraocular fluid through the drainage angle. If eye drops do not reduce your eye pressure down to the recommended level, our eye doctor may also prescribe pills (typically a carbonic anhydrase inhibitor). All medications can produce side effects, including glaucoma eye drops and pills. If you experience any side effects, discuss them with your doctor. Do not just stop taking your medication! Two primary types of laser surgery can be used to treat glaucoma: trabeculoplasty and iridotomy. Your ophthalmologist or eye surgeon will determine which type is best for your condition. Trabeculoplasty: this surgery generally treats open-angle glaucoma. The eye surgeon will use a laser to improve function of the drainage angle so that fluid flows smoothly and eye pressure is lowered. Iridotomy: this laser procedure may be suitable for people with angle-closure glaucoma. The eye surgeon will cut a tiny hole in the iris, which enables fluid to flow efficiently to the drainage angle. Traditional surgeries can create a new drainage channel for the aqueous fluid to exit the eye. During a trabeculectomy, your eye surgeon will cut a tiny flap in the white of your eye and also create a pocket under your upper eyelid – called a filtration bleb. Together, these changes allow the ocular fluid to drain out of the eye through the flap and into the bleb, where it is absorbed by surrounding tissue. As a result, eye pressure is reduced. Another type of surgery involves the implantation of a very small drainage tube in your eye. This tube sends fluid to a reservoir that your eye surgeon creates beneath the membrane of your eye. The fluid is then absorbed into surrounding blood vessels, reducing pressure.